In my last post I try to teach 11 common similes in English. However, as some students still feel that they need more practise, I have decided to produce this post too. 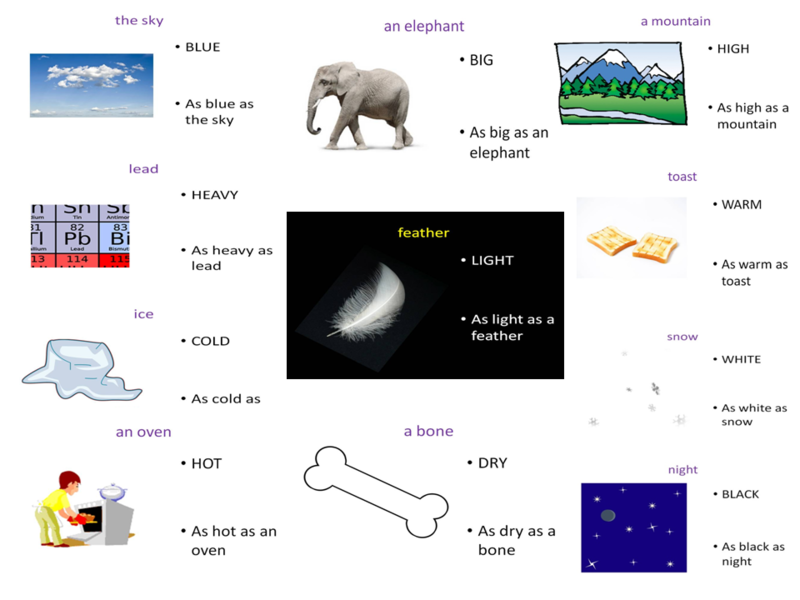 This post contains a visually appealing demonstration of all the 11 similes, a short film to learn the phrases and a dictation exercise. You can see all the similes in one picture. Go through them and try to remember the phrases. Do you know these similes? In the following video you can see and hear all the similes. In the first part you are asked to repeat the phrases. In the second you have to produce the phrases on your own. 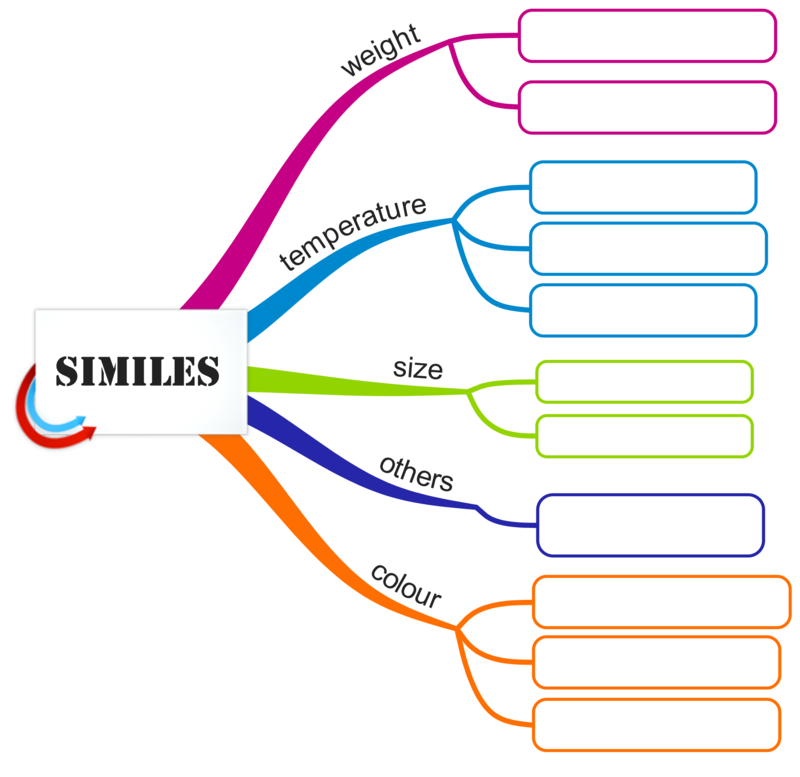 If you know all the similes print out the following mind map and complete it with the similes. You should keep the printout and use it for future reference.